During his visit to Norway and Denmark, President Medvedev made several statements on renewable energy and energy efficiency. 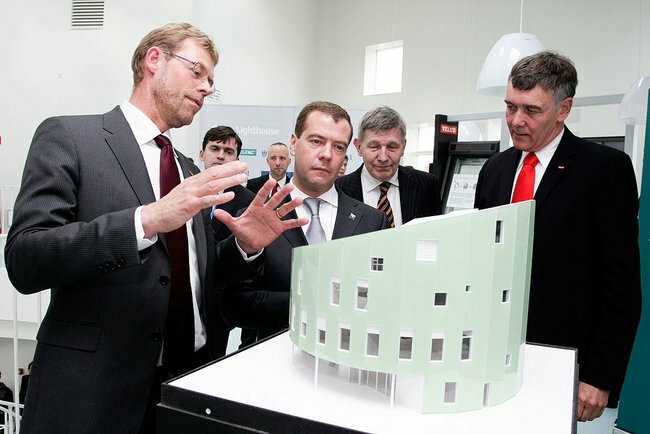 "Energy efficiency, unfortunately, is not the best side of our Russian economy today ", – Medvedev said at a press conference in Copenhagen. "We look forward to the assistance of our Danish partners," he added. During his visit to Denmark, Russian president signed with his Danish counterpart a declaration "Partnership for modernisation”, as well as an agreement on implementation of projects related to climate change, and another agreement on energy efficiency. "Even today, our Danish partners are involved in creating energy-efficient cities, they were mentioned today — the territories or even entire cities – where our Danish partners help us, sharing their experiences. This experience really has great value, to be honest, here they appreciate energy efficiency, appreciate warmth, and we, unfortunately, do not, and this is the problem, " – Medvedev said. Indeed, the Nordic countries reached an advanced position in the development of renewable energy and energy efficiency. This stems from the fact that, for example, Denmark, in connection with a new climate agreement, which will replace the Kyoto Protocol at the national level, declared ambitious goal of reducing greenhouse gas emissions by 20% from the 2005 level over the period from 2010 to 2020. Ttotal commitment of the European Union is emission reduction 30% by the year 2020 from the 1990 level. Share of renewables in Denmark two years ago reached more than 14% in the overall energy balance , and 28% in the electricity generation balance. In some islands, for example, Samso, renewable energy covers all energy needs by 100%. Russian commitments are pronounced as reducing emissions 15-25% from the 1990 level by 2020. This is not a very ambitious goal, given the collapse of industry after the collapse of the Soviet Union, and that even without special measures Russian enterprises currently emit 35% less than in 1990. Nevertheless, adoption of these goals marked the definite turning point in Russian policy, taking responsibility associated with climate change. Russia adopted the Climate doctrine, energy strategies, a new version of the law "On Energy Saving". But by now, there is only a very weak, within the error of calculations, goal for introduction of renewable energy sources, and there is no annual goals to reduce emissions and improve energy efficiency. Olga Senova, the leader of Climate Secretariat of the Russian Socio-Ecological Union believes that the words may become reality in our country, if national plan of annual reductions of greenhouse gas emissions is adopted, as well as national plan with targets for every year for introduction of renewables and energy efficiency improvements. The objectives of the second plan should be consistent with the objectives of reducing greenhouse gas emissions”. Regional programs to reduce greenhouse gas emissions, energy efficiency and renewable energy can be set up on the basis of such plans. All these measures are necessary, if we want that discussion of energy efficiency, renewable energy and cyclists on the roads of St. Petersburg and other Russian cities does not seem unrelated to the Russian reality. 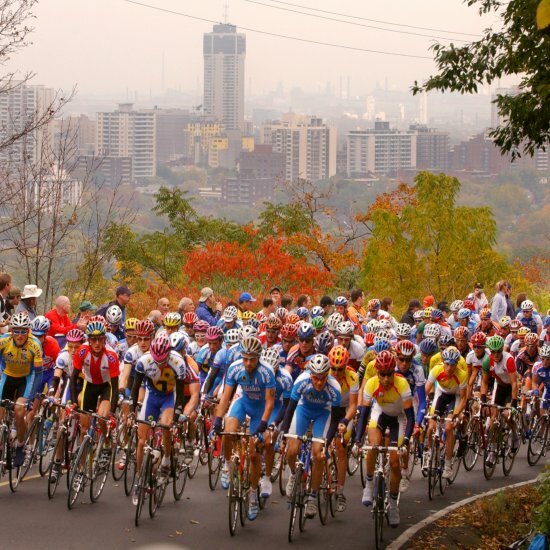 Alexander Fedorov, the co-chairman of the Russian Socio-Ecological Union, several years working on promotion of bicycle transport, said: “to make cyclists be able to cycle in the Russian cities safely and convenient, it is necessary to maintain cycle paths, parking sites for bicycles, signs and other elements of infrastructure. Costs are minimal, compared to the construction and maintenance of roads, but the effect could be significant, both for the convenience of life and health, and for reduction of greenhouse gas emissions. "